February 22, 2018, 6:00 p.m.
Before the meeting, participants enjoyed hot apple cider and cookies. President Ellen Duke asked all members to please check with Membership Chair Teri Champ to be sure their emails and phone numbers on file at the state GSMOL are still correct. Vice-President Steve Roth and his wife Carol are moving to Ventura to be closer to family. Both have contributed to our community in many ways. Steve was the Chair of the Disaster Preparedness Group for many years while Carol kept our library’s Christian book section organized. We will miss them and wish them well! Ellen thanked those who have helped in the membership drive so far: Teri and Gary Champ, Marcia and Ron Schatz, Sidonia Slaff and Mary Jo Crestenson. The effort is continuing through March and more volunteers will be appreciated. Park map, handouts, applications, envelopes, address labels and stamps are provided. Please call or email Ellen Duke. 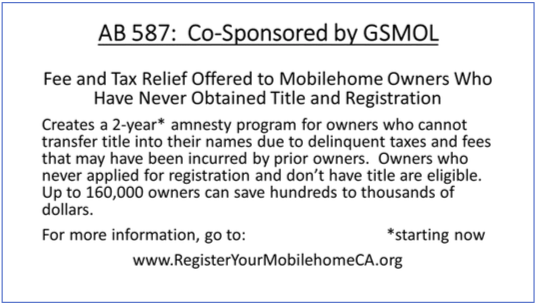 This is another example of GSMOL working to help California manufactured/mobile home owners. More information is attached. We will provide more information later this year. 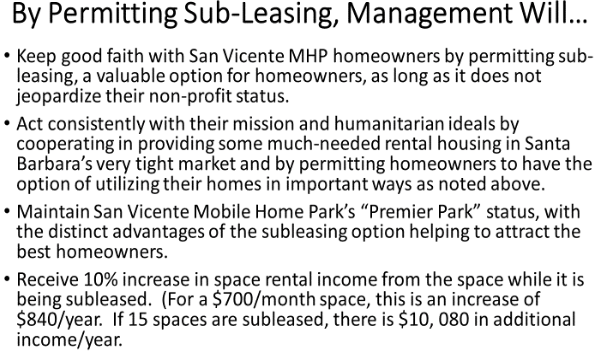 Meanwhile, anyone interested can go to website noted above or call the California Department of Housing and Community Development (HCD) at 1-800-962-8356. State GSMOL Election – Thank you to the many who voted and to Sid Slaff for helping! Members can still vote through March 16th using the ballot on the back of the Californian. Regarding Resident Directory: Management reported that only 150 residents have provided information for the park directory and Ellen expressed concern and asked that we consider volunteering to help complete this valuable resource. All agreed that the directory is important. 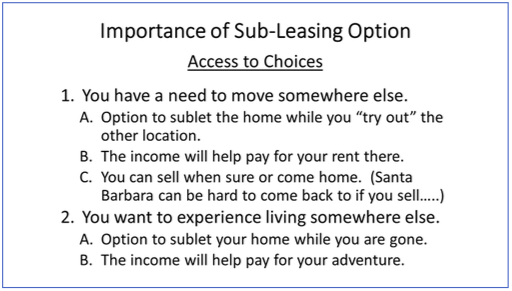 It was noted that except for new residents the information that would be used in the directory is already public as it has been published in prior directories. 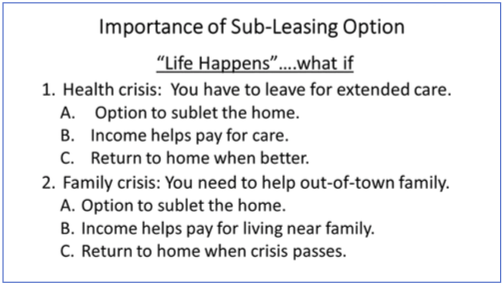 Someone asked why management couldn’t just ask residents to respond if they had changes or had any concerns about having their information included, so that non-response would indicate agreement. Our understanding is that the new management believes they need to have written permission for this, their first publication of the directory, but that the forms will not be required for inclusion in the future. Gym not in Update: It was noted that the update did not mention the gym although some time ago the new management had reported that they were looking into renting exercise equipment. This is important to resident’s health and quality of life and is advertised as a facility of the park. A otherwise empty room with a shuffle board without sticks, two pool tables and a worn out ping pong table reflects poorly on the park and does not serve the needs of the residents as a gym or recreational facility. Regarding Parking Update, dated January 26, 2018: We reviewed our understanding of the most recent parking practices under the Parker Rice management. All agreed that guest parking on the streets has been allowed during the day but no parking on the streets allowed after 10pm at night. This was a management-approved parking practice that has been in place for many years. It was approved verbally at multiple meetings. Paragraph 14C of the rules notes that management could mark approved street parking at its sole discretion but management apparently chose not to mark the streets recently, as was their choice. Paragraph 14G notes that guests must park in marked guest parking or in those areas designated by Park Management as provided in Section 14C. Ellen checked and state regulations permit parking in mobile home parks on one side of the street if the street is 32 feet wide and on both sides of the street if the street is 40 feet wide. Our streets are 32 feet wide. Ellen and others recalled a meeting when Parker Rice management asked people to ask their guests to park on just one side of the street – in other words, not to park a car across the street from where a car is already parked. Some who have been here longer recalled Parker Rice management marking one side of the longer streets on one side for parking and the other side for pedestrians but abandoning that method because residents complained that the shady side of the street, preferred for walking, was on different sides of the street at different times of the day. 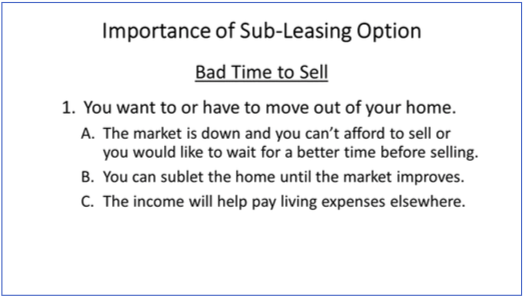 That method also results in some people having the cars of neighbors’ guests frequently parked in front of their homes while some people never have cars parked in front. well when followed. Everyone was in favor of continuing the no parking on the streets at night and in favor of continuing safe parking on streets during the day. We hope that the new management will continue these reasonable practices. 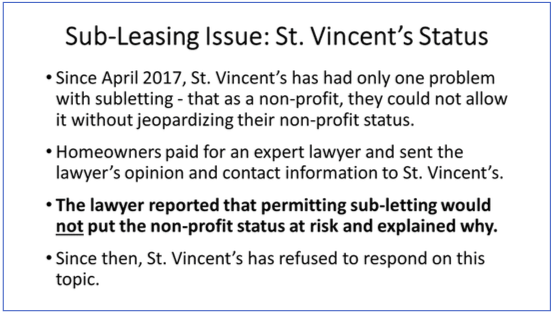 Sub-Leasing Option Review: St. Vincent’s has reported that the reason they would not allow subletting was because they could not allow it due to their non-profit status but they have not confirmed this since receiving legal opinion that their non-profit status would not be jeopardized. 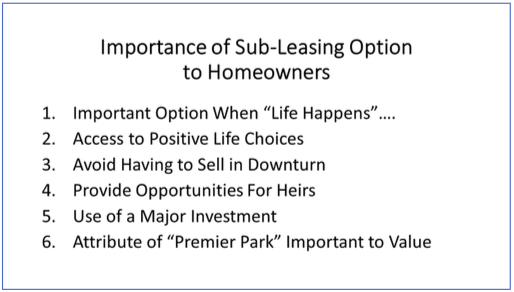 Ellen shared what she had learned from talking to homeowners, sublessees, and local real estate agents. 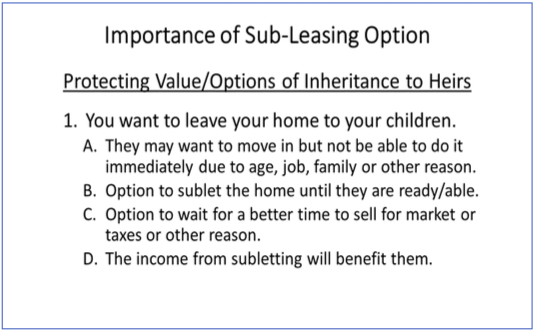 She heard many stories about how important this option had proven to be to homeowners. The roads are getting worse and dangerous, the potholes are increasing and even the repairs detract from the appearance of the park. Residents have brought this to management’s attention. A resident has complained to management about a continually barking dog and received no response. Several residents said they have not received any individual response to their complaints/concerns and that the office staff does not always respond within the time frame they have promised and have to be called again. People feel like they sometimes have to nag to get a response and no one likes having to do that. 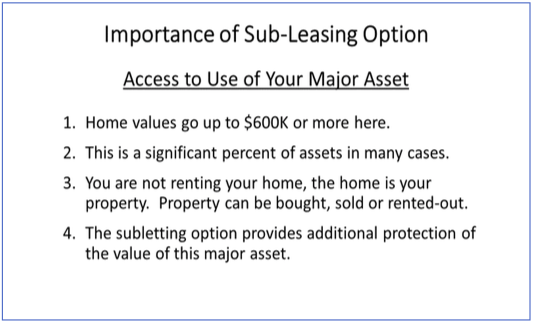 After the meeting: It was reported that several homeowners were surprised to receive a rent bill this month that noted that they had not paid last month’s rent – when they knew they had dropped off the check at the office! It turned out that several rent checks had been misfiled last month and were never recorded or cashed. There was concern that there was no earlier notice to the homeowners that their rent was late or that their checks were missing. 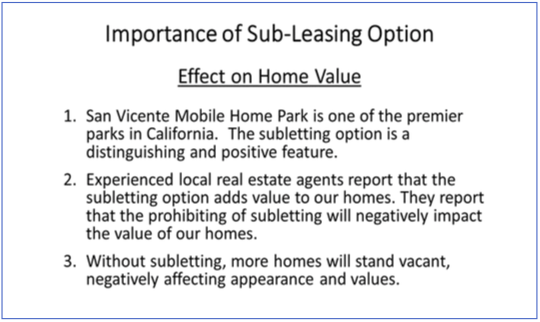 GSMOL MISSION STATEMENT: The Golden State Manufactured-home Owners League is a statewide volunteer organization dedicated to protecting and promoting the health, safety, welfare, rights, and investment of members throughout California. Our mission is accomplished primarily by legislative advocacy at national, state, and local levels, by judicious use of legal funds to protect homeowners, and by education of members so that they can help themselves solve local problems.